Hundreds of movies and books depict what will happen during and after the zombie apocalypse, a mass technology failure, the next mass extinction, a virus pandemic, environmental collapse, and/or a nuclear fallout. Here is a spoiler: most of the population dies. The survivors are left in a barely recognizable world and despite all of humanity’s knowledge, what use is it if it is only digital? Survivor Library or How To Survive When Technology Doesn’t is a knowledge repository for when the world becomes dystopian. The information in the Survivor Library includes information on building a telegraph system, farming, engineering, wagon building, medicine, and even Christmas. I bet the people in Robert Kirkman’s The Walking Dead wish they had this library, except it does not include information on killing zombies. There will probably come a time when everyone is going to be reading digital books over the paper copies. That does not mean that paper copies are useless. This type of knowledge still has practical applications and needs to be taught…at least more practical skills need to be taught in schools. All of the information in the Survivor Library is in the public domain and comes from knowledge circa the early 1900s and earlier. “As the library has grown over time we’ve tried to cover both the simplest, more basic self sufficiency skills such as growing food and raising livestock through the most advanced and sophisticated technology of the time such as aeroplanes and communications systems like telephone and telegraph. It will probably be more useful than the stuff Ash used in the Evil Dead movie. Here is how the Survivor Library archives: PDFs that can be easily stored and printed. I love PDFs, the only problem with using them when society has collapsed is finding a machine and/or printer to read them. France wants to be a world leader in artificial intelligence. The country is confident that it can access the technical and scientific information to achieve this goal. As a result of this confidence, the information in “French Universities Cancel Subscriptions to Springer Journals” is a reminder that certain old school content gems are second hand goods. With the power of Qwant at their fingertips, French research scientists can keep pace with other countries’ research. Perhaps a Chinese solution may be in the works for French universities? I read “Books from 1923 to 1941 Now Liberated!” The collection is based on books which libraries can scan. The write up explains the provision of the US copyright law which makes these books eligible for inclusion in the Internet Archive. Hopefully libraries will find the resources to contribute books. I did some spot checks. One gap is history books. 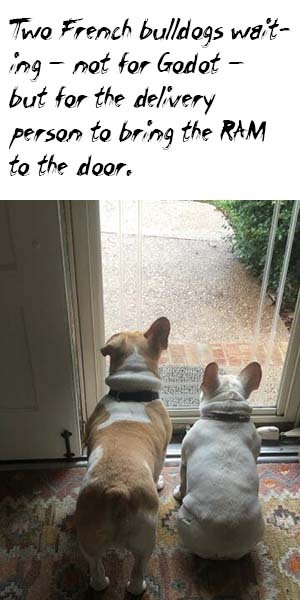 There are others. This is an excellent effort. The interface to the Bono books retains the Internet Archive’s unique approach to interfaces; for example, clicking on a book displays the scanned pages. Clicking on a page turns the page. The outside edge of the scanned image allows one to “jump” to a particular page. Getting back to a book’s table of contents takes a bit of effort, however. Those looking for anthologies can find a collection of 20th century poetry by hunting. The search system is just good enough. Worth checking out. Libraries, scan those history books. Who doesn’t love Theodor Mommsen’s early work? Arnold Information Technology has published Dark Web Notebook: Investigative Tools and Tactics for Law Enforcement, Security, and Intelligence Organizations. The 250-page book provides an investigator with instructions and tips for the safe use of the Dark Web. The book, delivered as a PDF file, costs $49. Orders and requests for more information be directed to darkwebnotebook@yandex.com. Purchasers must verify that they work for a law enforcement, security, or intelligence organization. Dark Web Notebook is not intended for general distribution due to the sensitive information it contains. The author is Stephen E Arnold, whose previous books include CyberOSINT: Next Generation Information Access and Google Version 2.0: The Calculating Predator, among others. Arnold, a former Booz, Allen & Hamilton executive, worked on the US government-wide index and the Threat Open Source Intelligence Gateway. 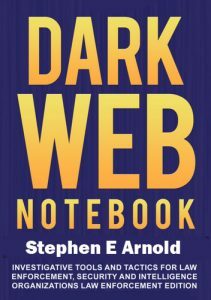 The Dark Web Notebook was suggested by attendees at Arnold’s Dark Web training sessions, lectures, and webinars. The Notebook provides specific information an investigator or intelligence professional can use to integrate Dark Web information into an operation. The book includes a comprehensive table of contents, a glossary of terms and their definitions, and a detailed index. Why write about the Dark Web? In addition to the Glossary, the annexes include a list of DARPA Memex open source software written to perform specific Dark Web functions, a list of spoofed Dark Web sites operated by law enforcement and intelligence agencies, and a list of training resources. Well, Dartmouth’s library search does a killer job on topics like employee compensation, regression analysis, and the intricacies of duacetylmorphine. Google does a better job with Lady Gaga, where to buy pizza in Toledo, and learning about Google services. I know this because I read and believed “Google Search engine vs Dartmouth Library Search.” The write up is a clarion call to the way things were. I can hear echoes of free Dialog training, the blandishments of the LexisNexis and Westlaw sales professionals, and the explanations of silver, gold, titanium, platinum, and diamond versions of Ebsco’s databases. Dartmouth Library access to thousands of articles, journals, abstracts, papers and theses from Dartmouth College, the other Ivy leagues, the other top universities, even out of the United States. So, to answer to the question, what is the difference between Google and Dartmouth Library, I would say Google is more public and is open to everybody. But, it doesn’t give us all of the actual research papers and publications. Lousy writing aside, research libraries offer more reliable and slightly less crazed information than one finds in the Google index. What’s frightening me is that this type of comparison is necessary. Researcher… will give users a way to find and incorporate additional information from outside sources. This makes it easy to add a quote and even generate proper academic citations for use in papers. Explicit content won’t appear in search results, so you won’t accidentally import it into your work. And you won’t find yourself in some random Wikipedia rabbit hole, because the search for additional information happens in a panel on the right side of your Word document. Researcher pulls information from the Bing Knowledge Graph to provide writers with relevant connections to their topics. The question is, will users rely on Researcher to fact-check for them, or will they make sure that the suggested source material is appropriate and substantiated? In spite of the lessons of the Republic National Convention, plagiarism can get you into big trouble (in a college classroom, anyway.) It is easy to see student users failing to properly cite or quote the suggested information, unless Researcher also offers help in those activities as well. Is this a good thing, or is it another way to make our children dumber by enabling shortcuts? Supplementary information doesn’t come in the print version of journals, so good luck understanding a paper if you like reading the hard copy. Neither is it attached to the paper if you download it for reading later—supplementary information is typically a separate download, sometimes much larger than the paper itself, and often paywalled. So if you want to download a study’s methods, you have to be on a campus with access to the journal, use your institutional proxy, or jump through whatever hoops are required. The lack of methodical information can hurt researchers who rely on the extra facts to see if it is relevant to their own work. The shortened articles also reference the supplementary materials and without them it can be hard to understand the published results. The shorter scientific articles may be better for general interest, but if they lack significant information than how can general audiences understand them? In short, the supplementary material should be included online and should be easily accessed. I read “Search & Owned Media Most Used by Journalists.” The highlight of the write up was a table created by Businesswire. The “Media Survey” revealed “Where the Media Look When Researching an Organization.” Businesswire is a news release outfit. Organizations pay to have a write up sent to “real” journalists. Let’s look at the data in the write up. The top five ways “real” journalists obtain information is summarized in the table below. I don’t know the sample size, the methodology, or the method of selecting the sample. My hunch is that the people responding have signed up for Businesswire information or have some other connection with the company. Several observations flapped across the minds of the goslings in Harrod’s Creek. Love that Wikipedia because 40 percent of “real” journalists rely on it for some or maybe a significant portion of the information in a “real” news story. It comes as no surprise that news releases creep into the results list via Google’s indexing of “real” news, the organization’s online newsroom, the organization’s tweets and Facebook posts, trade publications which are first class recyclers of news releases, and the organization’s blog. Interesting. Echo chamber, filter bubble, disinformation—Do any of these terms resonate with you? Do you want to know what after action review or mission creep mean to someone in the US government? Now available is “ADRP1-02 Terms and Military Symbols.” The 350 page document is darned useful for those who do not have a G-2 around to clarify. Is Collaboration the Key to Big Data Progress? Arizona’s NGCC provides the essence of the article’s claims, stressing capacity with Internet2, several types of computing, and of course collaboration between everyone at work on the system. Feltus commented on the importance of cooperation in Arizona State’s work, suggesting that personal relationships outweigh individual successes. He claims his own teamwork with network and storage researchers helped him find new potential avenues of innovation that might not have occurred to him without thoughtful collaboration. Written by Stephen E. Arnold · Filed Under Big data, Data mining, Innovation, Management, News, Reference tool, Search, Technology | Comments Off on Is Collaboration the Key to Big Data Progress?